Back in 2001, the Dodgers were playing the San Francisco Giants in the last game of a series, in the middle of a pennant race. The game fell on Yom Kippur. Shawn Green declined to play, not only sitting out an important game but sacrificing as well the record he was in the process of setting for the longest streak of consecutive games in the major leagues. "I need another day," said Green, who added that the issue has kept him awake at night. "I've been struggling hard with this. Obviously, it's very important to me, my religion is very important to me, too. It's a really tough deal." . . . "I've bounced back and forth and am just trying to do the right thing," he said . . . "It's hard to know what that is. I've really been toying with two different options: Play one of them or not play at all. I will miss at least one game." He eventually decided on one game, and played the other. It’s possible to argue he made the wrong decision. It’s also possible to argue his Solomon-like solution misunderstood the purpose of Solomon’s split-the-baby proposal: to focus on the necessity of deciding one way or the other an important issue that could not be compromised. If he could in principle play one game on Yom Kippur, he could have played two. If you need to be in shul seeking divine forgiveness on Yom Kippur, you don’t play any baseball that day. In this view, Green sacrificed both principles. But there is also a third view: that we have obligations to God, and obligations to others, and sometimes they conflict. And it is not always clear which one is paramount. And under certain circumstances it may be admirable to try to do both. In addition, with one game, the choice may be a lot easier than when there are two. At my conservative shul, most congregants came both Friday night and Saturday. But most of them did not spend the entire day in shul on Saturday. Most left after the sermon or Yiskor service, and returned about four hours later for the Neilah service, an hour and a half before sundown. Few of them had any pressing conflict -- certainly nothing that kept them awake at night during the week trying to decide what to do. But the important thing is that they were there. They could have been more observant -- we all could be more observant -- but they did observe. "Greenberg's decision electrified the American Jewish community, and generations of people remember that with incredible pride," said Martin Abramowitz . . . "Greenberg's choice (was) how to balance loyalty to parents, religion, and tradition with commitment to his American profession and his desire to fully participate in American life," historian Peter Levine wrote. Sitting out on Yom Kippur made Greenberg a model for second-generation Jews struggling with similar issues at work. 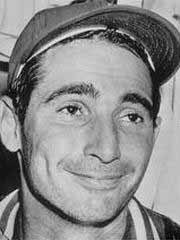 Koufax attended synagogue in Minnesota instead of pitching in Game 1 of the '65 Series against the Twins. Don Drysdale pitched that day and gave up seven runs in 2 2-3 innings. 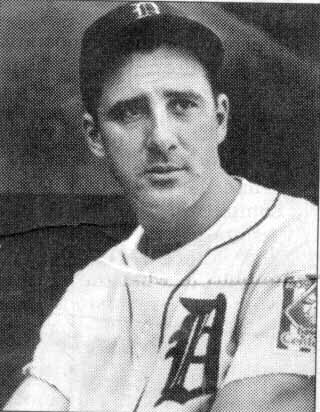 When manager Walter Alston came out to pull him from the game, Drysdale cracked, "I bet right now you wish I was Jewish, too." Shawn Green struggled with his decision, trying to do the right thing under circumstances perhaps less difficult, perhaps more difficult than those of his predecessors. Like most of my fellow congregants, he was only partially observant. But because he did not for a moment consider playing both games -- his decision was only whether he should sit out two games or try to meet a competing obligation with the second -- and because struggling with our moral obligations not only to God but also to others is ultimately what Judaism asks, Shawn Green’s picture goes up there with Greenberg’s and Koufax’s. "Why, I wonder, do people who at one time or another have all been young themselves, and who ought therefore to know better, generalize so suavely and so mendaciously about the golden hours of youth -- that period of life when every sorrow seems permanent and every setback insuperable?" When we are young, we do not know that our pains are temporary. As George Eliot said, children have no memories of outlived sorrow. When we are older, we can look back on life and see that against the background of permanence is constant change; the anguish that seemed so acute today passes tomorrow. The advice that Johnson gave Boswell, to always look from the perspective of a year hence, means nothing to a child, though parents often urge it. Children live in an eternal now. That may be one reason why the Torah ends with the soaring, profound recounting of the people’s journey. Moses is urging memory, but also subtly reminding us that the people have endured what seemed at the moment to be lasting: Israel continues despite the Golden Calf, despite Korach, despite the spies and the grumblings, despite their fear. They are no longer children. They now know they can endure. Just a little over a week ago, I was in Buenos Aires for a massive rally for the souls of the AMIA Jewish communal building victims who were killed ten years ago in the greatest attack on a Diaspora Jewish community since the Holocaust. God should grant us years to walk in and sanctify this world. But for those who left this world victims of terrorism -- there and in Israel -- we have to respond resoundingly, “presente:” You are here in our hearts, souls and minds. You are present. Tisha B’Av is not only a day of mourning. When we break the glass under the chupah, the wedding canopy, we remember not just the devastated Holy Temples, but we resolve we will fix the shattered temples, we will repair the brokenness of the world, of lives, of our people. The challenge of Tisha B’Av is not only remembering the buildings destroyed, but more important, to rebuild and take steps forward in the redemption of the world. . . . We say to God: enough of the dying, the horrors, the injuries. Let us be a people of am yisrael chai in joy and song.